And, as you know if you have had the privilege of watching those five seasons, I am now suffering from Post-Friday Night Lights Depression. It feels like I've lost something--or someone, and even though I had an appropriate farewell before it happened, it still hurts, you know? As part of my healing process, I wanted to share with you my thoughts as a first-time FNL viewer closing this chapter of life. I'm not sure where to start, because how can I boil my 5-year immersion in Dillon, Texas to a mere 500-800 words? I am more invested in the East Dillon Lions than any other (actual) football team on the planet. I would vote for Tami Taylor or Eric Taylor for President any day of the week. If they could tag-team it, that would be ideal. I adore Tim Riggins (still), and I can't really blame a girl for trying (ahem, Becky). I read something on Facebook recently from someone who said the show is "almost too real to be scripted," and I agree wholeheartedly. At times I couldn't believe they were acting. I love that they talk over each other, have lines with no plot consequence (like Coach ranting about being out of milk while Tami argues with Julie and ignores him), and that they don't always win the games. I originally hated Lyla, but I actually started being glad to see her when she came back from college simply because I felt like I know her and it was good to see a familiar face. Even though she's still KIND OF the worst. At least she brought out even more adorable qualities in Riggins. Mindy (Collette) Riggins became one of my favorite characters in the last couple seasons.I love that FNL developed formerly-minor characters like her, and it didn't feel at all forced. The series finale was brilliant and gave me all the closure I wanted, which I appreciate. I like that they didn't stray from what we as an audience wanted to see in the name of being unpredictable. They updated us on everyone we were invested in and kind of dropped us off, waved goodbye and moved on to the next story, which unfortunately, we don't get to be a part of. Like we swooped down on this town 5 years ago, had the privilege of observing it for a while, then zoomed back out and parted ways, sadly but amicably. No one is perfect in this show. Not even Tami or Eric. I love that. When a character was getting into something they shouldn't, you didn't write them off, but you pleaded with them not to do it because you knew it would ultimately hurt them. I also love that even though they made mistakes, most of the characters have good hearts and find their way back to true north. I think that's how we strive to be in real life. 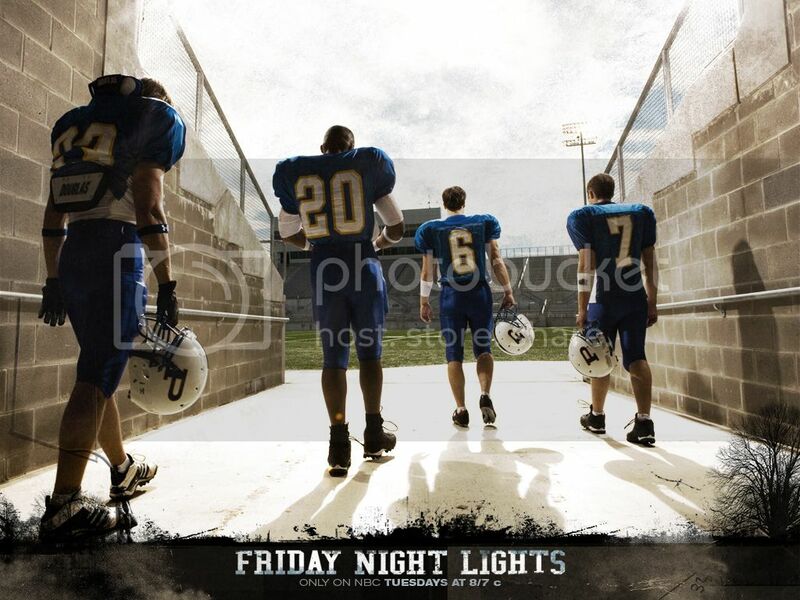 I could gush about FNL for another six blog posts, but suffice it to say, you guys were right. It is one of the greatest shows of all time.